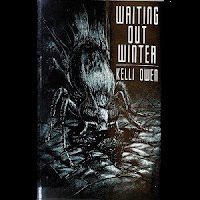 WAITING OUT WINTER, a small, slender volume from Thunderstorm Books' Elemental chapbook series is Kelli Owen's newest release. It packs a huge punch that belies its size, however, and is more deserving of your time than some books three times its size and two-thirds the price. Nick and his hunting buddies come home from a couple weeks in the woods to find themselves immediately neck-deep in an apocalyptic situation created by the local government's inept and little-too-late response to a pest problem. The result is a town, and possibly greater surrounding area, under siege from a most-unexpected front. WINTER's length makes it difficult to discuss in-depth without giving too much away, but two things definitely worthy of mention are Owen's skill at toying with reader expectations and the unyielding tension throughout the story from the first sentence to the very last. 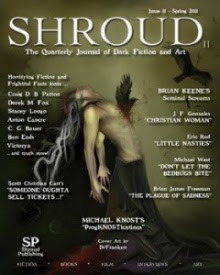 This one's a limited edition (I believe the hardcover is already sold-out), so don't wait. Sounds like a really cool story. The front cover has me thinking of all sorts of possibilities - talk about creepy. Is that a fly or a tic? Either way, eek!